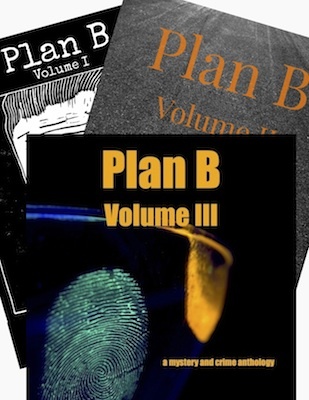 Plan B is a magazine devoted to mystery and crime short fiction. Here you’ll find stories featuring cops, con artists, capers and killers. And, of course, the de rigeur private dicks and reluctant amateur sleuths. For our first volume, we will post one story every two weeks from March 2013 through August 2013, available to read online for free. Subscribe to the feed or by email to get the latest yarn delivered directly to you. Quality fiction deserves to be compensated and Plan B is a paying market. We rely on reader donations and sales of the ebook anthology. Check out the ways you can support Plan B here. Follow Plan B on Twitter, Facebook or Google+. Questions can be sent to info@plan-b-magazine.com. Disclosure: links to Amazon books are affiliate links.